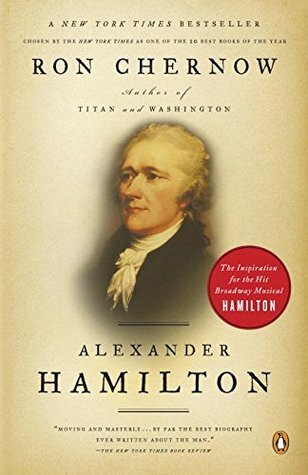 It is the time of the week when we revel in the glory that is Ron Chernow's biography of Alexander Hamilton, "the ten dollar founding father without a father." In chapter six, we see the relationship between Washington and Hamilton ice over a bit. Hamilton desperately wanted to actually fight in the war and Washington didn't want to let his best wordsmith get away. There is a section in this book that is pretty radically different from the musical, and it depicts the duel between Charles Lee and John Laurens. Lee did trash talk Washington, but Aaron Burr was not Lee's second for the duel. After Lee was shot in the side and declared that George Washington was actually pretty great, the dispute was over. This is not actually the point where Hamilton goes home to his wife Eliza. In fact, he had only met her once. In chapter seven, readers discover that Alexander Hamilton was actually a high school girl who made a list of all the attributes he hoped for in a wife. Needless to say, Eliza was awesome. It's sad to note that while the musical portrays the wedding between Alexander and Eliza as an occasion marked by all of their friends, Hamilton was all alone in reality. Eliza's family was present, but all of his friends and colleagues were occupied with the war. (The greatest shame here is the lack of Hercules Mulligan as flower girl). We are going to take a moment to talk about potentially the greatest event in this book so far and it doesn't even include Alexander. On August 7, 1781, Tories and Indians took over the Schuyler house. So we have Papa Schuyler shooting his gun out an upstairs window to signal for some help, we have rather pregnant Angelica and Eliza, and we have Mama Schuyler and Peggy. At some point, everyone realized that they had left newest baby Schuyler downstairs and not barricaded upstairs with everyone else. So Peggy goes downstairs, gets the baby, sasses the guy holding basically holding them hostage, ducks from a tomahawk thrown at her (you can supposedly still see the mark on the banister) and run back upstairs. I am so bummed this is not included in the musical. Let's give Peggy some props here. That's all I've got for now. If you are debating picking up this massive tome, do it! It reads so well for a massive biography and we are having lots of fun reading it together. You can check out what other readers thought here. "In chapter seven, readers discover that Alexander Hamilton was actually a high school girl who made a list of all the attributes he hoped for in a wife" ahahaha yeaaaaaah. I looooooove the Shuyler family, the sisters in particular. Look how badass Peggy was. And Cornelia sneaking out. Can Miranda make a companion musical that is solely about the exploits of the Schuyler family?!? That would be appropriate and most excellent. I thought it was sad and awful that Alexander Hamilton's father wouldn't come meet Eliza. And Alexander obviously really really wanted him to! What a jerk. Loved that anecdote about Peggy though! Chernow was all "she was vain and dumb" and then he told this anecdote and like, sir, you are undermining your own claims with this. It seems like a bigger issue than that. Didn't Hamilton's father never see him again? I feel like Alexander just kept writing to Daddy and inviting him to all of his stuff and Dad just ignored him forever and ever. THANK YOU! I talked about Peggy's bad-assery in my post, too, but I felt like noone else was excited about it as me. So far she's my favorite Chernow Schuyler sister by far. Maybe the musical ruined them for me by making them more awesome than they actually are? Or maybe Chernow just has on his Hamilton Heart-Eye Emoji glasses and no one is good enough. Haha. Chernow definitely does have Hamilton Heart-Eye glasses on. I wonder if Peggy has a lot more to do (and more fun) in the musical than we can tell from the album. I'm happy that the musical includes the Lee/Laurens duel, but ALSO makes reference to the Cadwalader/Conway duel (John should've shot him in the mouth, that would've shut him up). I know some details changed but man, Miranda is a genius. I want to go to the Schuyler mansion and see those tomahawk marks. Go Peggy! Yes! There were so many lines that Miranda used that were direct quotes. And he makes it seem so effortless! "the ten dollar founding father without a father" is one of my favorite lines in the song! Poor AHam. No wonder he stuck his nose into everybody's business - he just wanted to make some friends!